American tenor Zachary Wilder is praised for his work in repertoire from the 17th and 18th centuries and is sought after on both the concert and operatic stages worldwide. 2010 marked Zachary’s European debut as Renaud in Lully’s Armide on tour with Mercury Houston at the Théâtre de Gennevilliers. The following year brought him back to France to the Festival d’Aix-en-Provence as Coridon in Händel’s Acis and Galatea which subsequently toured to La Fenice in Venice. Zachary relocated to France after he was chosen by William Christie in 2013 to take part in Les Arts Florissants’ prestigious academy for young singers, Le Jardin des Voix. He now works with leading ensembles including Les Arts Florissants, American Bach Soloists, Bach Collegium Japan, Boston Early Music Festival, Cappella Mediterranea, Le Concert Spirituel, Collegium Vocale Gent, Dunedin Consort, Early Music Vancouver, the English Baroque Soloists, Ensemble Clematis, Ensemble Pygmalion, Handel & Haydn Society, Holland Baroque, Orchestre de Chambre de Paris, Le Poème Harmonique, Royal Philharmonic Orchestra, San Francisco Symphony Orchestra, and Les Talens Lyriques. Recent projects include the Spirit of Light in The Tale of Genji starring Ebizo Ichikawa at Kabuki-za in Tokyo, a recording and concert as Osman in Händel’s Almira with the Boston Early Music Festival, Everardo in a staged production of Zingarelli’s Giulietta e Romeo at the Winter in Schwetzingen Festival, Bach’s Saint John Passion with Bach Collegium Japan in Tokyo, Händel’s Messiah with the San Francisco Symphony Orchestra, and Eurimaco in Monteverdi’s Il ritorno d’Ulisse in patria and Lucano in L’Incoronazione di Poppea on a seven month tour with John Eliot Gardiner and the English Baroque Soloists, marking the 450th anniversary of the composer’s birth. His 2018/19 season includes Mark in Frank Zappa’s 200 Motels with the Strasbourg Symphony Orchestra, a tour of Stravaganza d’amore and Monteverdi’s Vespers and with Ensemble Pygmalion, Bach’s Saint Matthew Passion with Orchester Wiener Academie at Musikverein, Bach’s Christmas Oratorio and Händel’s Messiah with Bach Collegium Japan, Ammon in Montéclair’s Jéphte with the Orfeo Orchestra in Budapest, an upcoming return to the Théâtre des Champs Elysées in Lully’s Armide with Le Concert Spirituel, and Brunello in Steffani’s Orlando Generoso and Mad Rush a solo recital with Josep M. Martí Duran at the Boston Early Music Festival. Zachary’s discography includes several solo albums, Eternità d’amore (La Musica), with Josep M. Martí Duran, Amours Contrariées (Centaur) with Les Bostonades, and Balli e Sonate of Monteverdi and Rossi (Ricercar) with Ensemble Clematis. He has recorded extensively with the Boston Early Music Festival, including Corydon in Händel’s Acis & Galatea and their Grammy Award winning La Descente d’Orphée aux Enfers as Tantalus (CPO). He can also be heard on Monteverdi’s Il ritorno d’Ulisse in Patria as Eurimaco with the English Baroque Soloists (Soli Deo Gloria), Le Jardin de Monsieur Rameau and a DVD of Monteverdi’s Orfeo with Les Arts Florissants, Stravaganza d’amore with Ensemble Pygmalion (Harmonia Mundi), Zamponi’s Ulisse nell’isola di Circe (Ricercar) as Mercurio with Leonardo Alarcón and Cappella Mediterranea, Félicien David’s Le Désert (Naïve) with the Orchestre de Chambre de Paris, Bach’s Magnificat (ATMA) with Arion Baroque, and Rameau’s Zaïs (Aparte) with Les Talens Lyriques. Zachary holds a Bachelor’s in Music in Vocal Performance from the Eastman School of Music and a Master’s in Music in Opera Performance from the University of Houston. 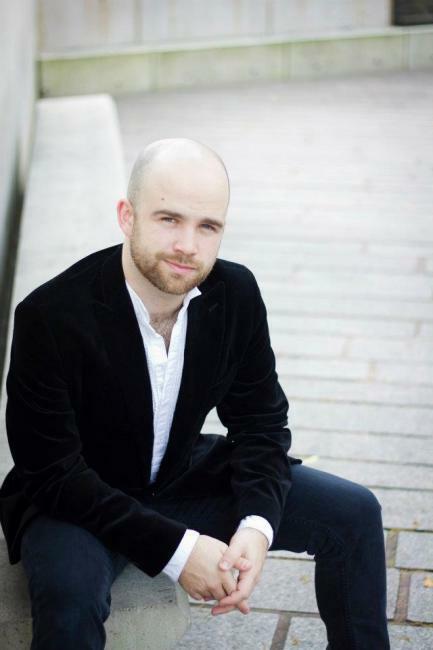 He was also a 2008 Tanglewood Music Fellow, 2010 Gerdine Young Artist at the Opera Theater of Saint Louis, and a 2012 Virginia Best Adams Fellow at the Carmel Bach Festival.